CTL Engineering continues to expand in the DMV (DC, Maryland, and Virginia) area and the eastern panhandle of West Virginia. We enjoy bringing our geotechnical engineering & inspection and testing expertise to this unique region. As Virginia grows, so too does the construction demand for buildings and highways around the state – both in inland and coastal regions. Our in-depth knowledge of the issues unique to the area is critical to the success of such construction projects. Virginia is home to several geological settings and hundreds of soil types. CTL’s geotechnical engineers and construction teams are dedicated to preventing foundation and structural problems, as well as construction cost overruns due to unplanned soil and geological conditions. Let’s look at some of the area’s soil types as well as CTL’s reputable geotechnical engineering process. Marine Clay: This soil type occurs on steep and hilly terrain in the Virginia region. Marine clay drains poorly and presents slope stability challenges for development. Common problems that arise include structural damage in buildings, foundations, and walls. Damage and deterioration to roadways may also occur. Karst: Karst is a limestone and carbonate rock landscape that has been dissolved over time. Found in Loudoun County, Karst formations are full of underground cavities, sinkholes, and springs. These underground structures must be identified to prevent collapse during construction. CTL’s geotechnical engineering services are comprehensive. Our process includes exploration, testing, and determination of required foundations for the construction project at hand. For design phase services, one of the first items to be addressed is whether the project is a feasibility study or for final design. If the project involves a feasibility study, we will decide if test borings, test pits, or geophysical surveys are more applicable to determine the subsurface conditions, information to be gained, and economics of the study. 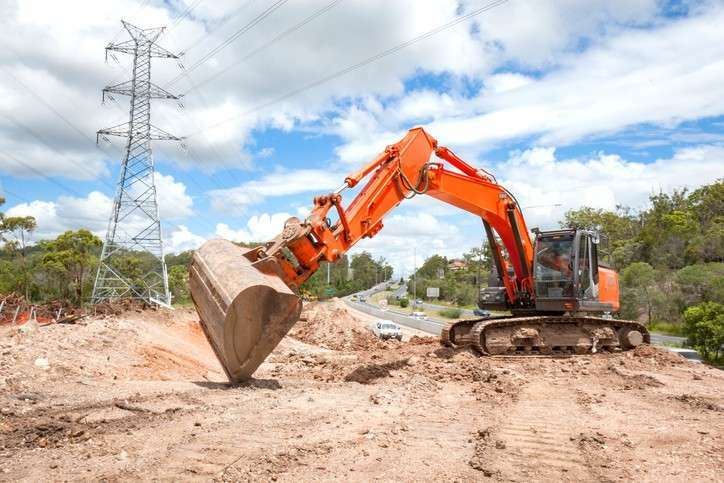 For final design phase studies, geotechnical evaluation including topographic and geological conditions, soil test borings, foundation analysis, and geophysical surveys may be performed to provide crucial information for design. For projects involving design phase services, utility clearance and boring layout will be the first priority. Preliminary results will be available after the soil borings and/or test pits are completed, and engineering recommendations will be developed after the laboratory tests are finalized. General scope items to be addressed in a feasibility study or preliminary design phase report may include geologic conditions on the site, soil stratification, classification of representative soil samples, groundwater conditions encountered during the investigation, and the feasibility of the soils to support the proposed construction. All reports are peer reviewed internally by other professional engineers to ensure the quality of service. For construction phase services for new construction and renovation projects, the required scope will be defined in the design phase geotechnical report, final design drawings and project specifications, and Local Code or VDOT requirements. Construction administration and construction materials testing and inspection services will be provided during this phase. We will be using out internal Project Manager Program (PMP) to electronically schedule our field staff for each testing and inspection task. At the completion of construction, a final building/site certifications and/or reports will be provided to the Owner/Client/Local Jurisdiction. Throughout the project, our local engineering experts meet geotechnical testing standards and requirements. Such requirements are present throughout the design, testing, and inspection phases of the project. Our team also provides site-related certifications during the creation of “green” facilities such as bioretention basins, rain gardens, and other BMP structures and practices. Our team brings a range of geotechnical engineering experience to the area. Among our team of geotechnical experts is Michael Sun, P.E. Michael holds a bachelor’s degree in civil engineering and a master’s in geotechnical engineering. He is also a board member and past president of the Washington Area Council of Engineering Laboratories (WACEL). Michael is a member of the American Society of Highway Engineers (ASHE), and the American Society of Civil Engineers (ASCE). He also serves on the geotechnical executive committee and board of directors. Tatjana Berg, E.I.T., is CTL’s laboratory manager. Tatjana holds a bachelor’s degree in civil engineering. She is also certified in asphalt, concrete, and soils through the Virginia Department of Transportation. Her other certifications include soils level 1, concrete levels 1 & 2, foundations, and nuclear gauge through WACEL. Since our expansion in the DMV and eastern panhandle of West Virginia, our team has acquired further expertise and experience. We have developed our geotechnical and materials testing resources. We also work with other CTL departments to provide drilling and laboratory services. In short, we offer a full-service solution for geotechnical engineering needs, including forensic engineering. CTL Engineering is proud to offer the DMV area more than nine decades of service and geotechnical engineering expertise from a wide array of projects completed all around the country. We look forward to the opportunity to provide your geotechnical engineering, inspection, and testing services.